We invite you to visit the stunning city known as the Pearl of the Black Sea. Yes, this city is Odessa located on the South of Ukraine and founded in 1794 by Empress Catherine the Great. If you imagine yourself going back in time you can see some of this amazing city with its underground tunnels used to transport stolen goods and treasure used by this cities fair share of pirates, raiders and criminals including the legendary criminal of Odessa known as Mishka Yaponchik or Benya Krik. His legend states that he managed to rob the audience of the Odessa Opera house within 30 minutes! But Online Ukrainian Travel Guide invites you now to come to the present time. 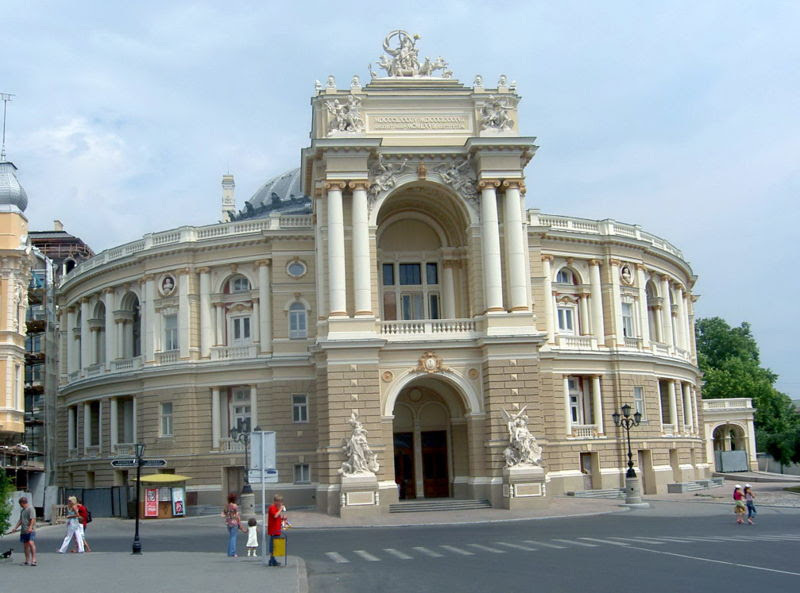 No visit to Odessa would be complete without going to see the beautiful Opera house and why not take in an opera or ballet while you are visiting? This beautiful building opened in 1887 after fire destroyed the original theater. It was designed by the same architects that designed the Vienna State Opera, Ferdinand Fellner and Herman Helmer. 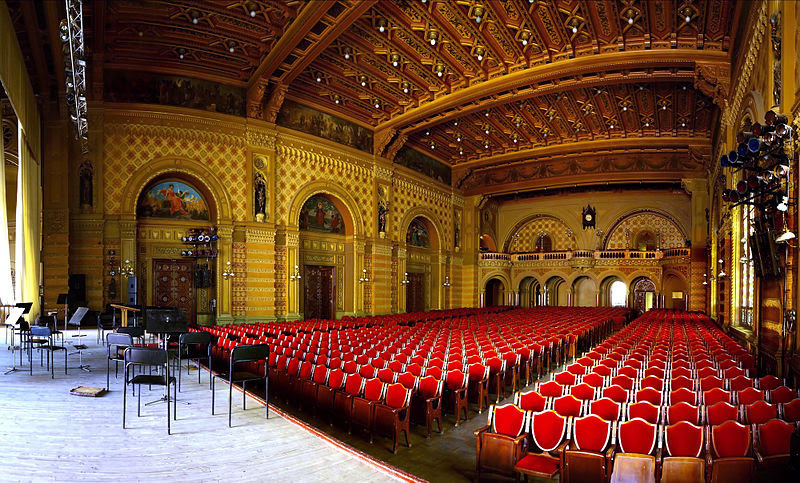 You’ll marvel at its acoustics and be stunned by the Rococo style auditorium. 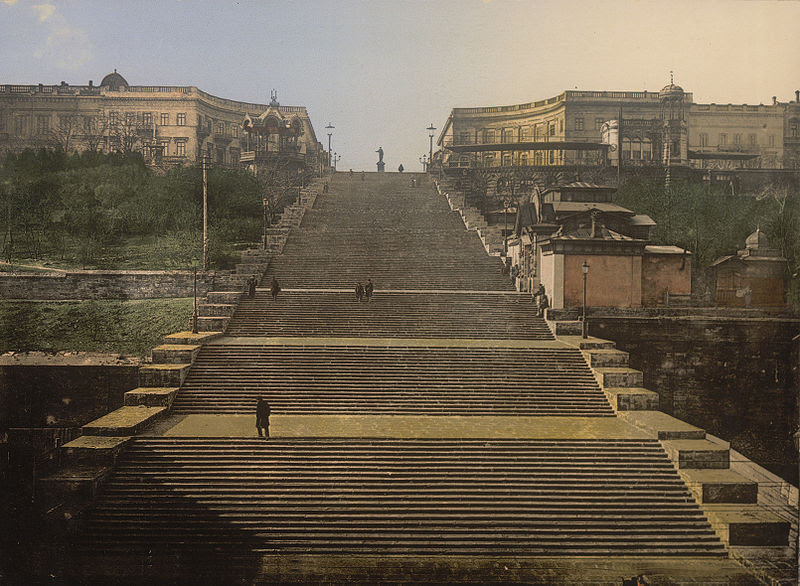 While we are in Odessa we of course have to climb Potemkin Steps. Don’t worry there are only 192 of them leading from the port area to Prymosky Boulevard and close by Deribasovskaya Street. This area is some of the most popular in Odessa and close to the Opera House as well. You’ll find this area full of interesting stores and quaint cafes to while away your time. As long as we are in the area let’s go take a look at the mother-in-law bridge. Theory has it that it was ordered built by the politician Mihail Sinitsa who loved his mother-in-law’s pancakes so much so that he ordered the construction of the bridge thanks to which he didn’t have to walk so far during his lunch to get there! Others say the when several people jump on the bridge together, or strong winds strike the structure, it is known to shake violently. This theory holds that it is this swaying (or wagging) was akin to that of a mother-in-law's tongue. Many lovers now put padlocks on this bridge to show their love for each other. 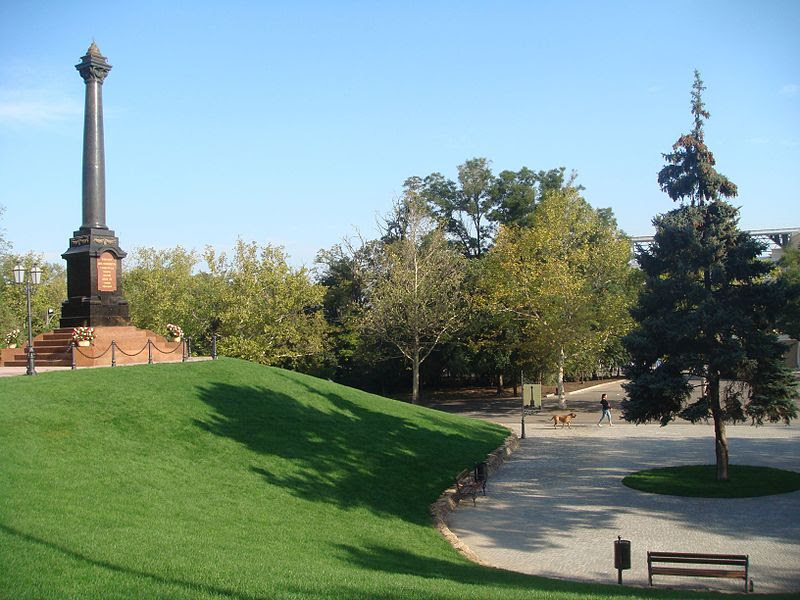 We are also not far from the Monument to Orange. The local citizens sent 3,000 oranges to Emperor Paul I towards the end of winter in order to bribe him to resume funding. Imagine a political power accepting a bribe? We are along the Black Sea so of course we need to go to the shore. Let’s go to Arcadia District. This area is an extreme beach area especially in the hot summer months. You can find chic clubs to more quiet and relaxed areas to enjoy some food, have a lemon aide or ice cream and people watch. Enjoy the arcades or get yourself some photo ops. 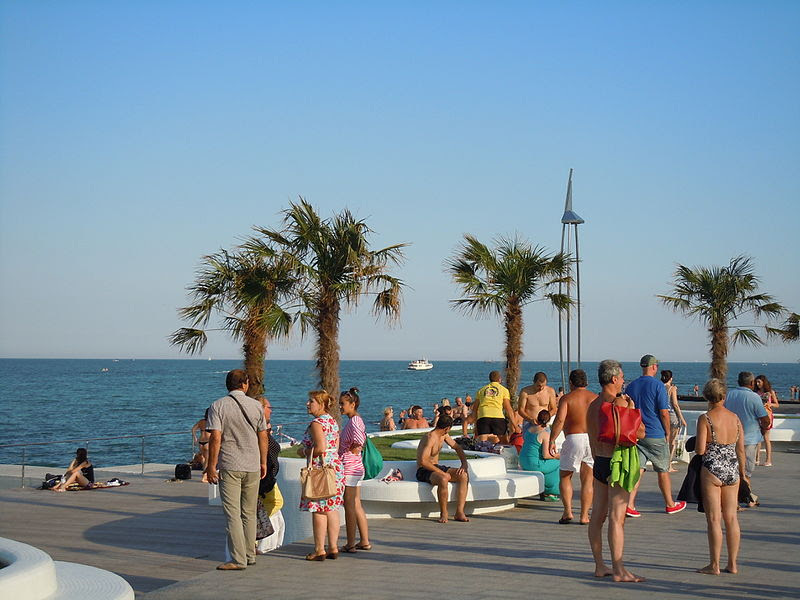 However if you feel the need for more low key beach areas, Odessa has many other beach areas you can enjoy as well. Last but not least of the reasons to visit Odessa is its food. You can find everything from mainstream to quirky eating establishments with the city having over 1,000 listed restaurants. If you want authentic Odessa-Jewish experience, visit Rozmarin, (Malaya Arnautskaya, 46A, Odessa 65014, ph. 675187030) – a kosher-food restaurant celebrating the Jewish heritage of Odessa and frequented by locals. Maybe you prefer to make memories with your kids then go to Dacha, (Frantsuzkii blvd., 85/3, Odessa 65058, ph. 380487143119 on French Boulevard) where they can take part in a culinary class. No matter what your interests are you can probably find it in this city. Come explore and plan on spending some time here to really get to know this amazing city. You’ll be glad you did. We are waiting for you in Kyiv) I send all my friends to this https://aloha-spa.com.ua/en/ massage salon in Kiev. I think you like it) Here Thai massage is better than in Thailand))).